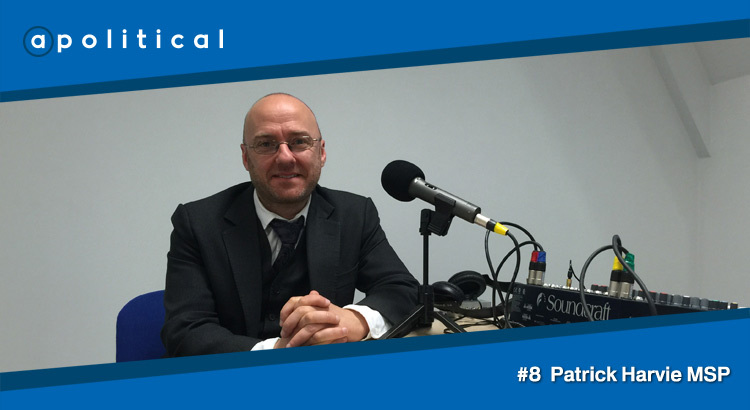 In Episode 8 of apolitical we speak with Patrick Harvie MSP, co-convener of the Scottish Green Party and prospective candidate for the Glasgow Kelvin constituency in 2016’s Scottish Parliament elections. We chat about Patrick’s grounding in Green politics, his prospects in the Holyrood elections and what distinguishes the Scottish Greens from other parties of the left. • What the future holds for the Scottish Green Party.